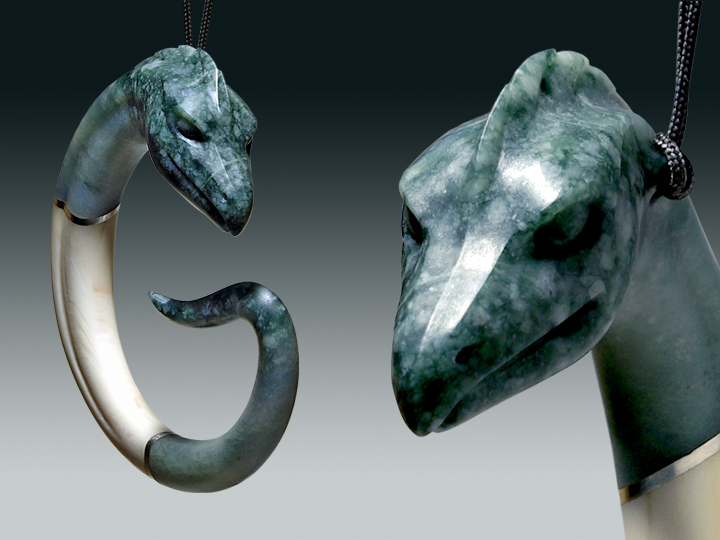 G DRAGON, pendant, 3.5" high. Then I played with the concept to make a G-Dragon. 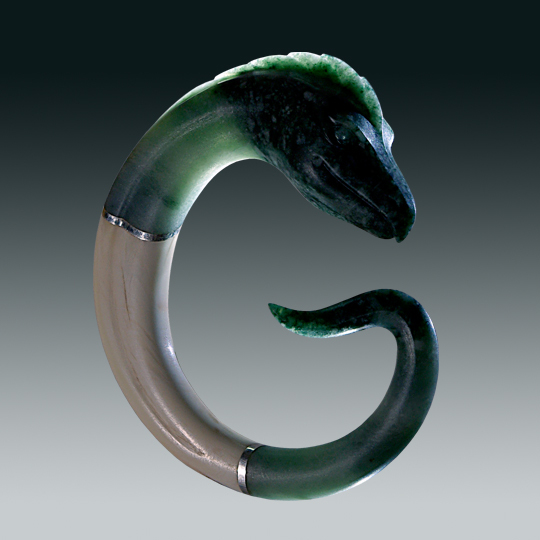 I extended the tail, and curved it back on itself to form a letter G - - for Georg and for Guatemala, where the jadeite is from, also with silver and wild boar tusk.